Let’s say you have clients or people that are influential to you that have Facebook business pages. As you know, Facebook is changing its rules and the organic reach of business pages is getting really low and it’s very likely you’re not going to see what they’re posting, but you want to see it, right? Because you want to have an opportunity to engage with these people if they’re your clients or, better yet, potential clients. You want to be engaging with their stuff. You want to make sure that they know who you are. 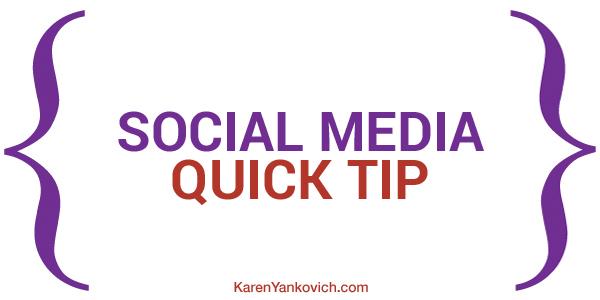 One of the great ways to do that is by engaging with their content on social media. What you want to do is go to their page. I’m actually going to go to the DailyWorth page. I’m blogging for them and I want to be of service to them as well. I want it to be more than just have them post my stuff. I want to be able to share the stuff that they share with their audience as well. I’ve already liked the page, but I’m going to go here and I’m going to click this little down arrow and I’m going to check off “get notifications”. Now when DailyWorth posts, it’s going to notify me. This makes it really easy for me to go in and share their content. That’s what I want you to do. I want you to think about what pages you’d like to engage with on a regular basis because you want them to remember that you exist. You want them to know that you’re being of service to them by sharing and commenting on their stuff. Go in, get notifications on their page, make it easy on yourself, and be of service to your clients.